Pemamek has signed an agreement to deliver a thin plate panel line to Vard Shipyard in Tulcea, Romania. The new delivered solution will ensure a high-quality production of demanding thin plate panels used in building vessels. Fincantieri S.p.a as a majority shareholder, Vard Group AS is specialized in designing and building complex vessels. Thanks to the company’s long traditions and thorough expertise, Vard is one of the major key players in the global shipbuilding industry. 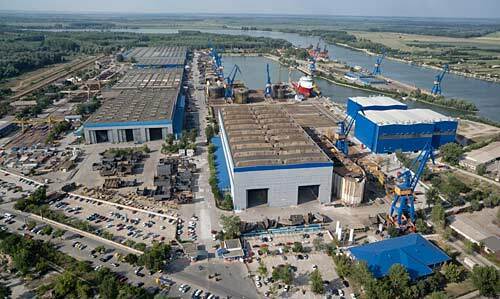 The delivery to Vard Tulcea Shipyard is an advanced 12-metre thin plate panel line with several cutting-edge features. The panel line is equipped with, among others, web mounting and welding solution as well as hydraulic one-sided welding station, panel cutting-, blasting- and marking station. Additionally, an integrated stiffener mounting and welding system is included in the solution. To complete the comprehensive delivery, the panel line includes a robotized welding station specifically designed to weld pre-assembled T-beams, but also other secondary structures onto the panels. The robots are equipped with Lincoln PowerWave power sources and are programmed with Pemamek’s unique operator-friendly WeldControl 200 Create software. “We, Vard Tulcea, selected the advanced PEMA panel line to support our future needs to produce thin materials. The delivery enables us to manufacture high-quality thin panels that are particularly needed for specials ships like cruisers. We had heard several good things about PEMA technology. Additionally, their references are self-speaking,” Marcel Băleanu, VP Commercial from Vard Tulcea summarizes. PEMA Thin plate panel line, in combination with PEMA Robotized welding station, will be built in Pemamek’s brand new expansion of development and production premises in Finland. The solution is scheduled to be installed during the summer 2017.